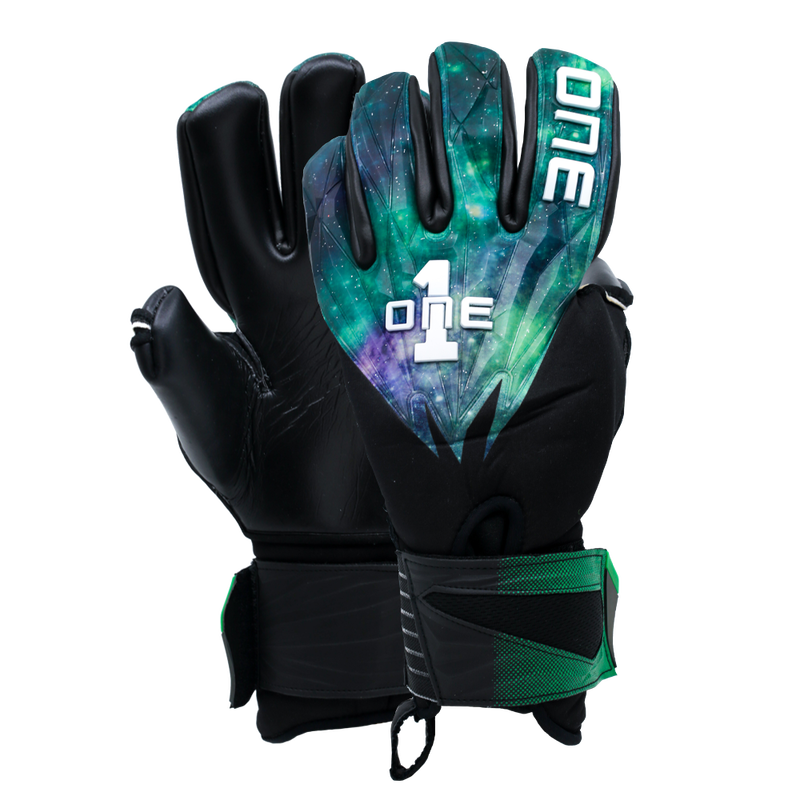 The One Glove Goalkeeper Glove available in the USA at Keeperstop. One Glove Geo 2.0 Nebula and new Aurora goalkeeper gloves. The Nova Patriot USA themed goalkeeper gloves exclusive to Keeperstop! Do you love the USA and goalkeeping? Showcase both with these American goalie gloves! The One Glove Company busted on the goalkeeper scene a few years back in the USA with a good mix of gloves between 40.00 and 70.00 USD. The most popular One Glove at the moment is the Geo Typhoon Contact with a black palm, snug fit, and removable finger protection. This is followed by the Invictus Stealth with Quartz latex for more durability. Geo Nova 2.0 Nebula without fingersaves in the purple contact latex and negative cut is stunning. The best aspect of One Glove is the best gripping game gloves are available in sizes kid size 5 6 as well as adult 7 8 9 10 and 11. The Geo Nov Type 2 and Blade are on sale while they last. Looking for a goalie glove with an American flag? Introducing the One Glove Nova Patriot. Contact keeperstop with any One Glove sizing or review questions.